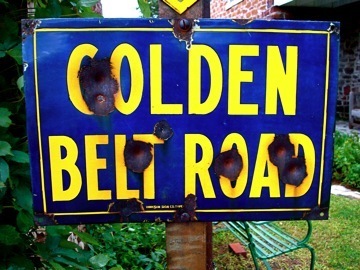 Bypassed by the Golden Belt Road, towns along the Union Pacific Railroad from Oakley, Kansas, to Limon, Colorado, pushed for a new named highway. Percy Towne, President of the California State Automobile Association, 1917. George Stanfield of Topeka, Kansas, hatched the idea of a coast-to-coast highway honoring World War I dead. 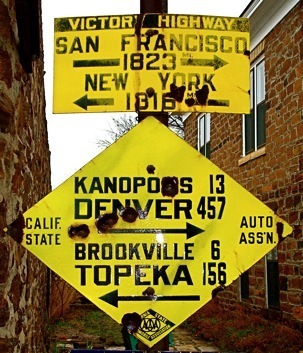 The new highway association, which was incorporated on June 6, 1921, was adquarters were in Topeka. The Victory Highway ran from New York to San Francisco.